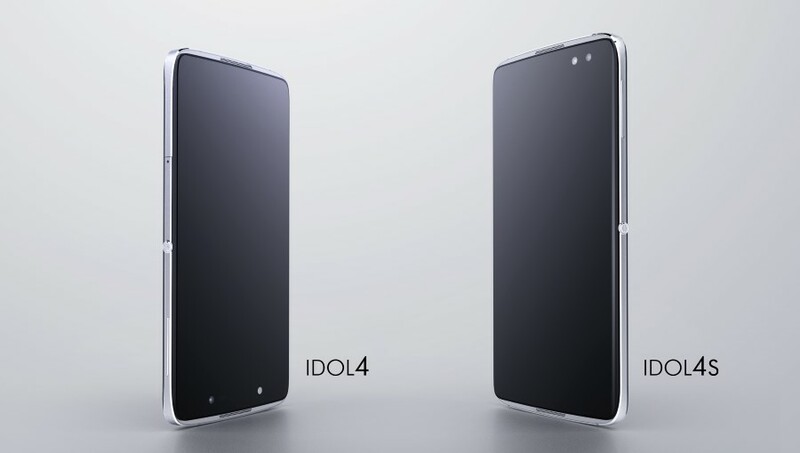 At this year's MWC, Alcatel has introduced two new midrange Android smartphones: the Idol 4 and the Idol 4S. Both devices stand out with their glass body and metal frame, which make them look more upscale. The Alcatel Idol 4S is the larger and more powerful of the two. It comes with a 5.5-inch AMOLED display of Quad HD resolution. Under the hood is a 64-bit octa-core Qualcomm Snapdragon 652 chipset with 3GB RAM and 32GB of expandable internal storage. Imaging-wise, it has a 16-MP primary camera with LED flash and an 8-MP front-facing snapper also with LED flash. 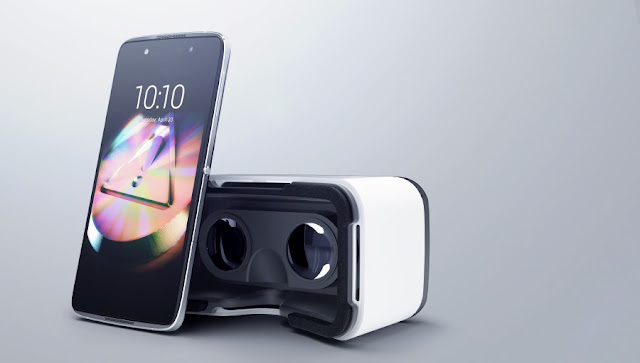 It supports LTE, has dual-stereo speakers, Hi-Fi surround sound, and is bundled with a virtual reality headset. It runs Android 6.0 Marshmallow out of the box and is powered by a 3,000 mAh battery (which supports quick charging). As for the price, it will retail somewhere between $400 and $500. Then we have the Alcatel Idol 4, which packs a smaller 5.2-inch IPS LTPS display of 1080p Full HD resolution. It is powered by a 64-bit octa-core Qualcomm Snapdragon 617 chipset with 3GB RAM and 16GB of expandable internal storage. Imaging-wise, it has a 13-MP rear camera with LED flash and an 8-MP front-facing snapper. Like the Idol 4S, the Idol 4 supports LTE, has dual-stereo speakers, Hi-Fi surround sound, and is bundled with a virtual reality headset. It, too, runs Android 6.0 Marshmallow out of the box and is powered by a 2,610 mAh battery (which supports quick charging). It will retail for just $280. Meanwhile, Alcatel has also unveiled a new laptop-tablet hybrid, which it calls the Plus 10. 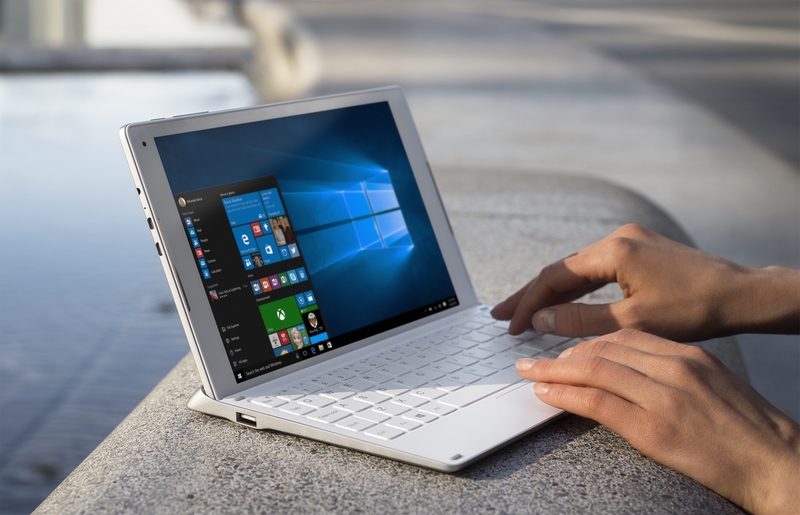 It runs Windows 10, which could replace your regular netbook, thanks to its detachable keyboard and multiple ports. It has a 10.1-inch IPS LCD of 1,280 x 800 pixel resolution. It is powered by a quad-core Intel Atom Z8350 processor with 2GB RAM and 32GB of expandable internal storage. It has a 5-MP main snapper and a 2-MP front-facing one. It also offers front-firing stereo speakers. While the tablet only offers Wi-Fi connectivity, its keyboard has a 4G modem and can act as a Wi-Fi hotspot for up to 15 devices. While the tablet only has a 5,830 mAh battery, its keyboard offers an additional 2,580 mAh battery, bringing the total capacity to 8,410 mAh. There's no word yet on pricing but it will launch in Europe, Latin America, the Middle East, and Africa in June 2016.